A softer padded variety of Standing Sling with easy to fit velcro fastening neoprene torso belt. 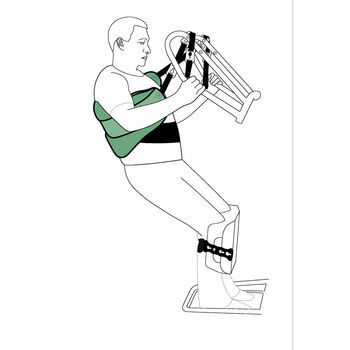 Recommended on Standing Hoists for weight bearing patients only. Available with key-Hole and Loop type attachments. Two sizes in fabric only. For more information about our slings range, contact our helpful staff today!